Wine connoisseurs and local history buffs alike will enjoy Hannon Library’s new Wine of Southern Oregon digital collection and its exhibit display. The exhibit, which celebrates the rich tradition of wine making in Southern Oregon, opened the night of Nov. 7 as part of November’s First Friday Art Walk, and will be remain open through December. The event started at 4:30 p.m. with a private reception to give thanks to those who donated and participated with the project as well as members of the Southern Oregon wine community. The exhibit then officially opened at 6 p.m. The sound of the piano being played by the award-winning pianist, Tatsiana Asheichyk and the smell of wine and finger foods filled the air. Twenty-five images of records, quotes, and photographs from the digital collection were displayed on the third floor of the library, and wine tastings were being held in the Meese Meeting Room. 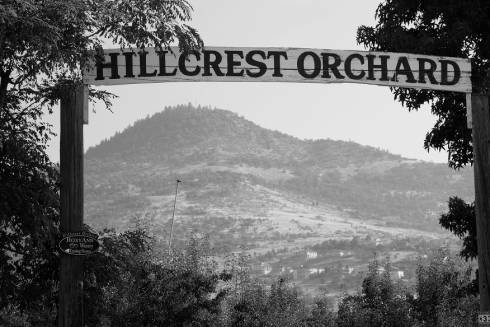 “Eastern entrance and RoxyAnn Peak” -Photograph of RoxyAnn Peak and the eastern entrance to Hillcrest Orchard, current home of Roxy Winery. This image is from the Wine of Southern Oregon collection, courtesy of Southern Oregon University Hannon Library Special Collections. Wine was donated by several local wine makers for the event, including Agate Ridge Vineyard, Ledger David Cellars, Red Lily Vineyards, and Weisinger Family Winery. Many others participated in collecting and donating resources for the collection itself. The digital collection contains 521 digital items and records of 16,000 books and journals on wine and viticulture that is under library possession according to Mary Jane Cedar-Face, the collection development coordinator at Hannon Library. The items range from photographs of the first wine maker in the state to current wine labels and old legal records. 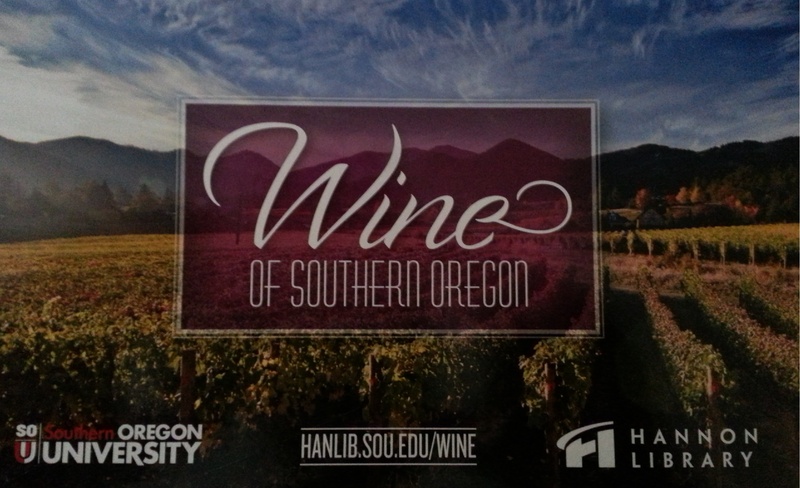 Although the Wine of Southern Oregon project started in 2012, its first manifestations was in a donation of over 371 books, which contained the Bern Ramey Wine Library and the wine book collection of Martin Baptiste, by Will Brown in 2003. The Sarah Powell Tribute Fund, named after the founder and winemaker at RoxyAnn Winery in Medford, was started the following year, and has helped the funding of acquiring yet more information about the history of wine making in Southern Oregon. Along with grant funding from the Erath Family Foundation, the collection has come to be what it is today, and have afford to have such an opening. The Wines of Southern Oregon digital collection can be found on the Hannon Library website.